We spoke to Dr. Muhammad Atiqullah, Senior Research Engineer at the Center for Refining and Petrochemicals (CRP), Research Institute, and Professor; and Deputy Director Technical at the Center of Research Excellence in Petroleum Refining and Petrochemicals (CoRE-PRP) at King Fahd University of Petroleum & Minerals, Dhahran, Saudi Arabia. He has over 20 years of experience in teaching and research, and has published many papers in journals such as American Institute of Chemical Engineers Journal, Chemical Engineering Science, Polymer Reviews, Industrial and Engineering Chemistry Research, Polymer International, ACS Catalysis, to name a few. 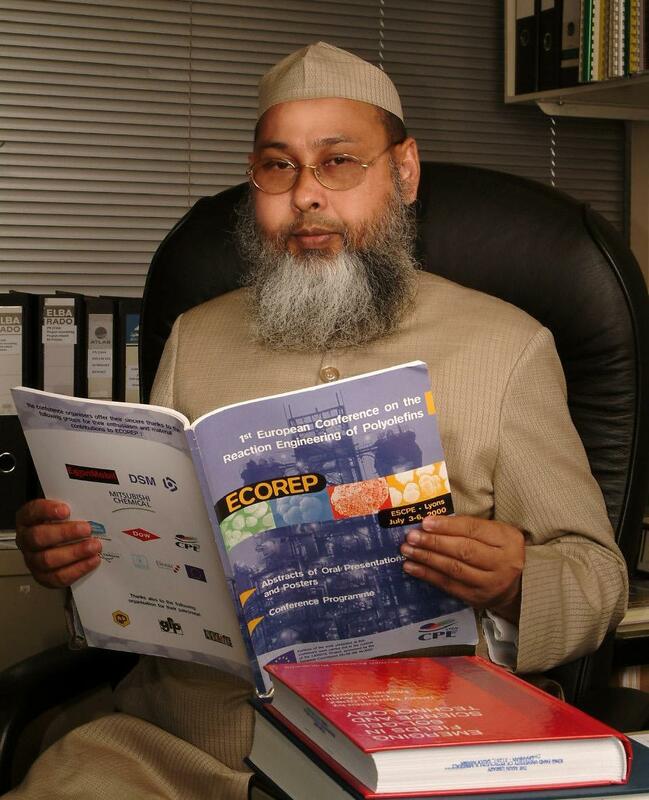 In our interview, Dr. Atiqullah tells us some more about his extensive career and research in Polymer Science and Chemical Engineering. If you have any comments to make about this interview or would like to participate in a future interview, please ‘leave a reply,’ at the bottom of this page. WriteForWiley: Tell us about your current research interest in polymer science and technology. What is your mission? Mission – Produce cost-effective new polyolefin catalysts, polymerization processes, products, and additives. You have taken part in many research projects fulfilling several roles such as ‘Principal Investigator’ to ‘Project Manager.’ Which position did you enjoy the most and why? grant-funded project, we use here Principal Investigator. On the other hand, for an industry-funded project, we use Project Manager. I enjoy both. The reasons are as follows. Shouldering such a responsibility benefits me in several ways. It inspires me to remain up-to-date and progressive in my research field. It helps me develop qualified research program and team. It offers me an opportunity to accomplish a job up to my best satisfaction through provision of the desired leadership and quality control. Talk about the patent process. What were some of the struggles? What did you learn from this experience? What advice would you have for others hoping to patent their research? Our patent process depends on the prevailing situation. Two general situations can be considered. One is the invention originating from a governmental grant-funded project and in-house research. Here, our university Intellectual Asset Office handles this because the university is usually the assignee. The other is the invention originating from an industry-funded project. Here, the client takes the major responsibility. The client alone or the client plus our university can be the assignee, which is decided according to the contract signed by both parties. The major struggle in patenting lies in doing novel, nonobvious, and useful research, as well as effectively preparing the invention disclosure. Both parts are equally important. Patenting is overall a rewarding experience. It motivates doing research not done earlier in a way that differs from that of others. However, publications in high-impact journals are also important. Here, the comments of learned and professional reviewers are mostly useful. They strengthen the work and open venues for further research. Publications disseminate knowledge which benefits the scientific community in general. ●Consult your university intellectual asset office and patent attorney. What was it like working with Prof. Edward B. Nauman? Prof. Edward B. Nauman, who died in May 2009, was my PhD supervisor at the Department of Chemical Engineering at Rensselaer Polytechnic Institute (RPI), Troy, New York. I was associated with him from mid-1984 to mid-1988. This association is an indelible, wonderful, and rewarding experience. I learnt, under his guidance, how to add new insight to research. You have achieved many awards,what are you most proud of and how have these got you recognized in your field of expertise? The awards I received cheer me because they recognize my contribution. However, I continue to feel humble when I notice that whatever I have not done or could not do far exceeds what I have done so far. Therefore, I do not have anything to be proud of. The awards received reflect my commitment to completing an assignment with quality. This is how they benefit me in my profession. Why did you initially become interested in holding an editorial board position? What advice do you have for young authors? I got involved in an editorial board position through invitation, presumably due to my publication profile. It benefits me through review of other’s works, establishment of a professional network, and learning from other’s knowledge and experience. For young authors, I would like to recommend publishing quality papers in high-impact journals, without making it a goal to achieve editorial board position. What are some of the struggles of your position as a reviewer? What is the most rewarding part of this position? The major struggle for me as a reviewer is to control myself from giving negative criticism and resisting others from publishing. The most rewarding part of reviewing is the satisfaction I derive when I see that my recommendations have been duly incorporated by the authors and the work finally got published to benefit the scientific community. That I helped others grow in profession is gratifying. Your publications have been presented at conferences. How did this occur and help you getting recognized in your field? Both aspects-presentation of conference papers and achievement of recognition-resulted from useful contribution(s). You have acted as a supervisor and committee member for postgraduate research students. How do you find this and what advice do you give your students? Serving postgraduate research as a supervisor and a committee member is a highly rewarding experience in profession. This is mutually beneficial. ●Why and how to preserve and practice ethical values in profession. What is next up for you in the future, what are you looking forward to? To establish a research center devoted to polyolefin technology because polyolefin resins are the major plastics produced and consumed in the world, including Saudi Arabia and the Middle East. It is to be especially noted that the opportunities for new, novel, and challenging research that can benefit our society is immense. I think this interview/conversation is informative and can work as a guideline for young researcher. This interview is not only educative, but also motivating in general for any researcher that wants his work to be outstanding.